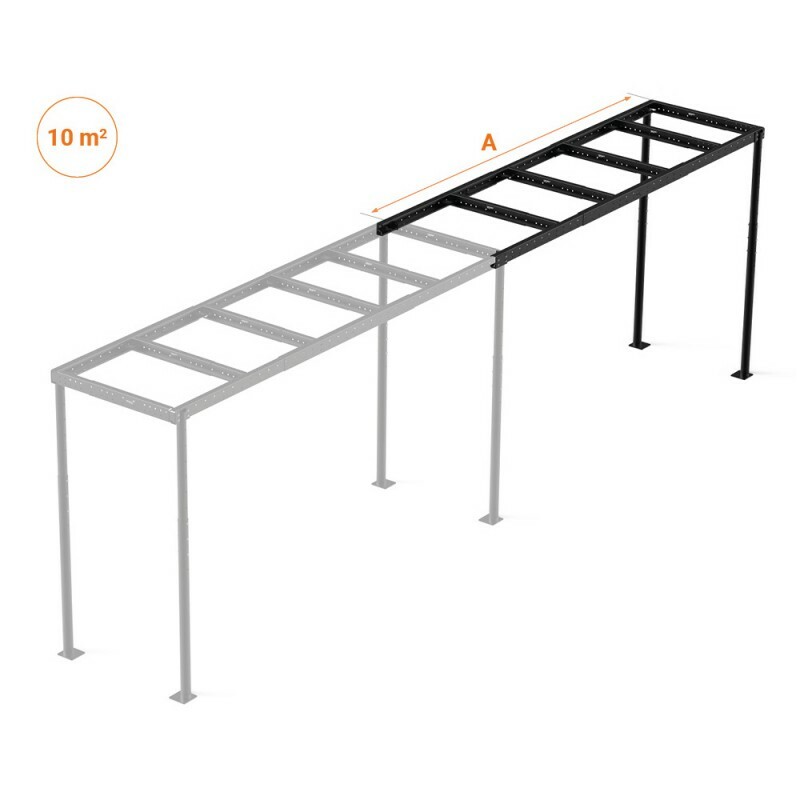 The ‘A’ extension module for the Tecrostar mezzanine TS 5 allows to extend the mezzanine in the direction of the primary beams. Adding this extension, you can get up to 10m² of extra surface. If the extension module is going to be assembled once the mezzanine TS5 is already installed, the main module should not have any load on it. 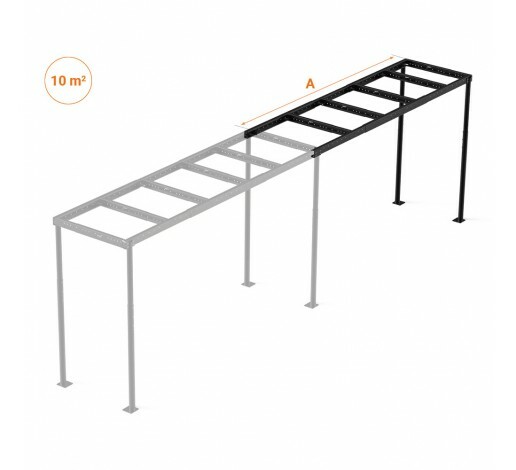 The ‘A’ Extension TS 5 kit includes 2 height-adjustable simple pillars and a light slab adjustable in width and length (extendible up to 5m²) with the exact same features as the Mezzanine TS 5. It also includes the supporting floor, that is formed by structural wooden boards to cover the entire surface.